Yesterday's evening all the 24 contestants at this year's Sanremo Music Festival in Italy performed their songs for the first time. Tonight, we saw half of the entries one more time on the stage in the Ariston Theatre in Sanremo. The results of the second night were again announced in three groups: Top, middle and bottom. The results are – like yesterday – based on 40% public televoting, 30% demoscopic poll, 30% press jury voting, but tonight it was only the results based on the press jury that were announced, where the results announced yesterday was based on the demoscopic poll. 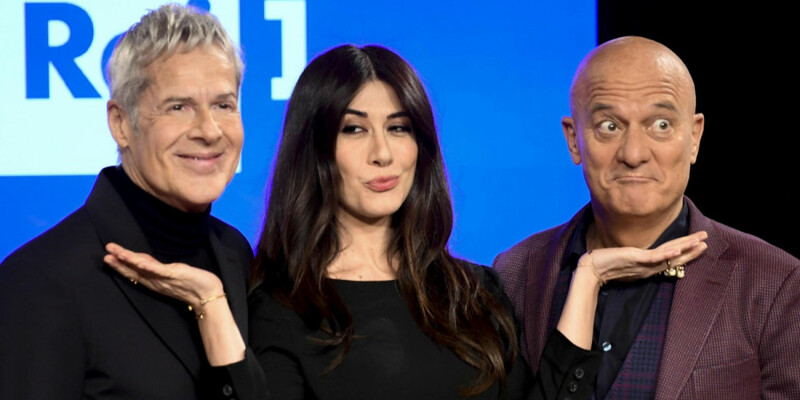 Loredana Bertè – "Cosa ti aspetti da me"
Daniele Silvestri – "Argento vivo"
Ex-Otago – "Solo una canzone"
Il Volo – "Musica che resta"
Federica Carta e Shade – "Senza farlo apposta"
Bookmakers' oddsOdds: Who will win Sanremo 2019? During all 5 nights we have the possibility to listen all 24 songs and there will not be any eliminations. So all 24 songs will go to Saturday's final. At Night 1 (Tuesday) all the 24 artists perform their song for the first time. The results of the demoscopic poll were announced in groups. At Night 2 (Wednesday) the first 12 artists each performs their song again, and the results of the Press Jury were announced in groups. At Night 3 (Thursday) the other 12 artists each performs their song for the second time. At Night 4 (Friday) all the 24 artists perform their own song in a duet along with a special guest. At Saturday's Final, the ranking will be revealed and the top 3 will advance to the Super Final. At the end we have a winner and maybe the Italian entry for Eurovision 2019 (In 2016, Sanremo winner, Stadio rejected Eurovision and second classified Francesca Michielin flew to Stockholm). The voting system changes between the nights. For the first three nights, the ranking is determined by televoting (40%), press jury (30%) and demoscopic jury (30%). For the last two nights televoting has 50%, press jury keeps 30% and and expert jury 20%. Final ranking and top 3 are given by the combination of all 5 nights. Winner will be selected through the voting system of night 5. Italy 1964: Gigliola Cinquetti - "Non Ho L'étà"